My first Artfully Sent Cricut cartridge card! It too me all of maybe 5 minutes including finding and cutting to assembly! I used White Daisy, Honey and Goldrush to layer the candy colors and added a white liner to cover the layering! On the inside with Frightfully Fun stamp and the Happy Halloween from a stamp set with the cartridge! 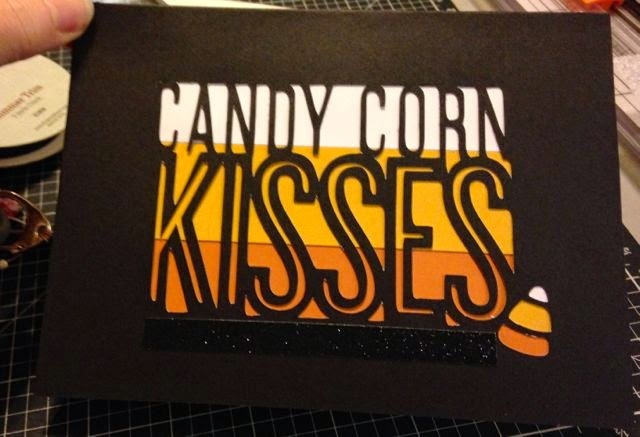 Of course every card needs a little bling so I added the Black Shimmer Trim! 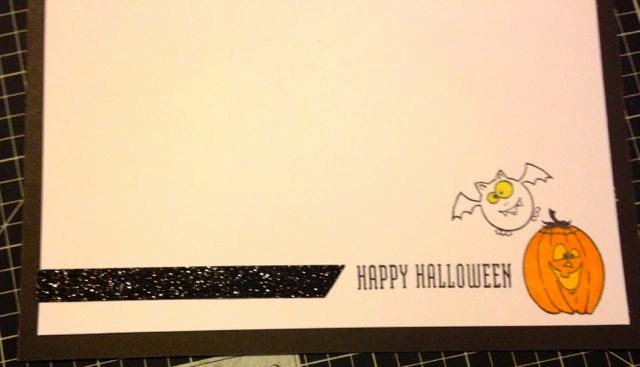 The Pumpkin and the bat's eyes are colored with our new ShinHan Twin markers! To get your own Artfully Sent cartridge click here! Buying one in September also enters you in a drawing for a Workshop on the Go of your choice! It came out great! I've never used a Cricut but my friend (and fellow blogger) Stacy loves hers.